Biometric technology, once exclusively used as a Hollywood prop, has since evolved into a practical, affordable technology used in many different capacities for both government and private enterprises. 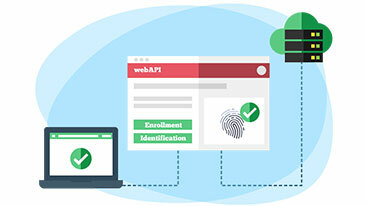 Many new biometric identity management solutions are now leveraging the cloud, freeing up resources and creating once unforeseen efficiencies to help increase utility and security. For example, our state-of-the-art cloud based biometric technology ePolice™ solution has the potential to completely change the face of law enforcement agencies around the globe. 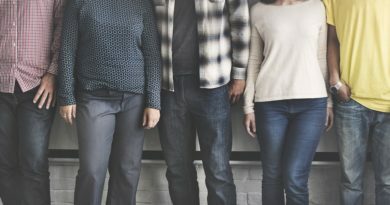 Unless you’re a science buff, you’re probably thinking, “What is biometrics?” and “How it is related with cloud computing?” Biometrics refers to the measurement and analysis of biological data, which in normal vernacular means the process of identifying people based on their physiological characteristics. Biometric technology has a long history with law enforcement agencies and many important identity management innovations have sprouted from this beneficial relationship. For more than a century law enforcement has been using biometric technology to track and identify criminals, helping to enhance public safety and facilitate justice. During the early 1980s, U.S. law enforcement agencies began to implement Automated Fingerprint Identification Systems (AFIS) for fingerprint storage and analysis which later was adopted by agencies from many other countries. For example: In 2008, the Chinese Police adopted an ABIS solution to allow forensic fingerprint examiners the ability to cross check inmate identities for possible matches within the database. Earlier versions of AFIS software had many limitations and lacked reliability but as the technology evolved, we began to see the release of fully integrated cloud based and multimodal biometrics supported platforms to meet the demand of law enforcement agencies in every aspect. The use of biometric records such as fingerprints or facial images to solve crimes may not be surprising, but the cloud-based implementation and BYOD movement within law enforcement is becoming increasingly popular. Cloud-based mobile and biometrics enabled solutions can aid law enforcement officials around the globe to identify wanted criminals by comparing their biometric data against a wide variety of offender databases on the go. Mobile and cloud based biometric identity verification can prevent unnecessary trips back to the station or unwarranted arrests. These solutions don’t only safeguard the public against identity fraud but also save police department manpower allowing for more comprehensive and accurate coverage and an increase in public safety. In almost every practical scenario, core biometric technology has two operational functions – verification and identification. The use of biometric technology most often depicted in the media or seen in commercial contexts relates to one-to-one (1:1) verification where biometric traits of an individual function like a key or password that permits them to enter a restricted area or provides authorization to log on to a computer. Biometric applications used by most law enforcement agencies around the globe are more closely related with identification. For identification, single or multiple biometric templates are procured either directly from an individual or found at a crime scene, and compared to a database of hundreds of thousands or even millions of other biometric templates in search of a match. These kind of comparisons are usually one to many (1:N) comparisons in which an unknown individual’s biometric templates are checked against an entire database. Fingerprints: Fingerprint recognition has been the standard biometric modality for law enforcement agencies for a long time and still is. 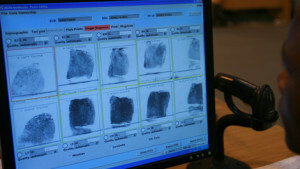 Palm Print Biometrics: Legal systems and law enforcement agencies in the United States have increasingly used using palm print authentication for prisoner identification, crime scene investigation and prison management for couple of years, as about 30 percent of all the latent found at a crime scene are palm prints. Facial Recognition: Facial recognition is a relatively new biometric modality which is recently gaining the attention of law enforcement agencies. It can be useful as a surveillance tool for law enforcement agencies by reducing the number of possible matches in a data pool to a manageable amount. Iris Recognition: Iris recognition is another biometric modality of recent interest for law enforcement. Until now, iris recognition has been used in some places in a commercial capacity for verification but law enforcement agencies are starting to use it more frequently as a way of looking for more sophisticated and accurate authentication systems of identification. Biometric technology has been well received by many law enforcement agencies as a technology that has proved extremely useful in many different scenarios for individual identification. There are some who oppose the use of biometrics in law enforcement, their main argument being privacy and a lack of transparency surrounding the accuracy of the technology seemingly intended to stifle opposition and public debate. As cloud based biometric technology is expanding more rapidly, will it mark a major milestone in law enforcement criminal identification in the future? We can predict that in the near future, it will become more popular when intelligence agencies share more biometric data among themselves, cloud computing technology makes it easier for them to share criminal records: i.e. – biometrics as well as demographic information of the offenders. 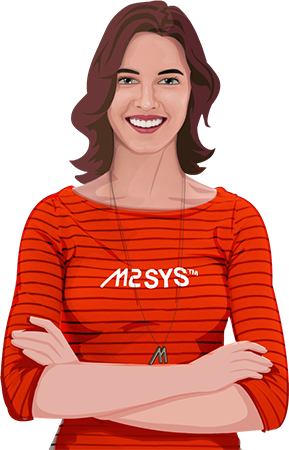 Furthermore M2SYS Technology offers any law enforcement agency the ability to customize our ePolice™ platform to meet their unique project requirements based on demographic and strategic challenges.